Members of Parliament are likely to be recalled to the House for an emergency meeting to reconsider and ratify a 2015 Ghana-US Military agreement signed by former Foreign Affairs Minister Hannah Tetteh. Information Minister Mustapha Hamid said the government needs to give “proper legal authority” to the 2015 agreement which forms the foundation of a similar agreement signed with the US in 2018. The 2018 agreement has been ratified by Parliament amidst drama and chaos with the Minority National Democratic Congress walking out of Parliament. The Minority insists it will not have anything to do with an agreement that is likely to sell the sovereignty of the country. But government spokespersons have said the 2018 agreement is not significantly different from the 2015 one signed by the NDC, except that the John Mahama led government failed to bring it to Parliament for ratification as required by law. 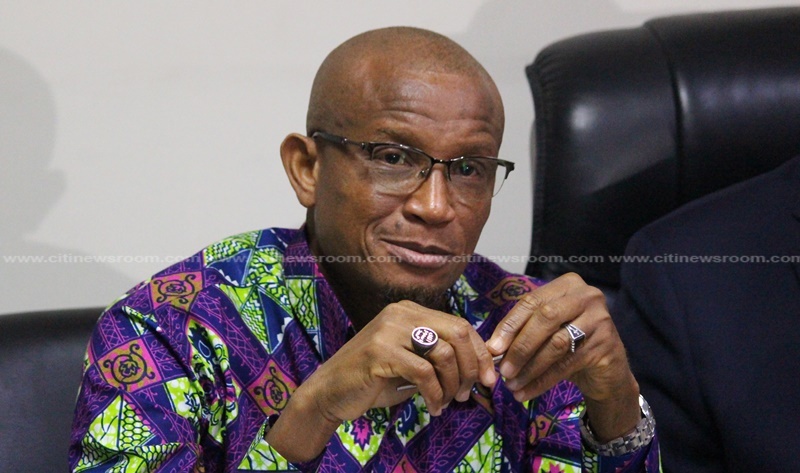 Mustapha Hamid told Joy FM’s Evans Mensah on Top Story, Monday, in order to avert a possible suit that may torpedo the current agreement with the US, the government had to send the 2015 agreement to Parliament for ratification. In the absence of the ratification of the 2015 agreement, “somebody can go to the Supreme Court for a declaration that the agreement is null and void,” he said. Even though the House is on recess, the Information Minister said it will not be out of place to recall the MPs to Parliament to have them approve and ratify the 2015 agreement. He said given that the 2015 agreement with the US was signed by the NDC government, it should not be a problem for the Minority MPs to approve and ratify same when they are recalled to Parliament. “We cannot build Berlin walls around our country and be isolated,” he said, hoping, the Minority members will support and approve the 2015 agreement when they are recalled. But if the comments by the Minority Chief Whip Muntaka Mubarak are anything to go by, the Minority will boycott the 2015 agreement, the same way they did to the 2018 agreement. Mubarak told Evans Mensah they will not want to have anything to do with the two agreements. He also dismissed claims that the Minority members who were in the majority at the committee level approved the agreement at the Committee level only to boycott it at the plenary. Defence Minister Dominic Nitiwul alleged there were 14 Minority MPs as against 10 Majority MPs on the day the agreement was approved by majority decision at the committee level. He said the committee members had every opportunity to throw out the agreement with a vote if they were truly against the agreement. He was however surprised that the same people walked out of Parliament when the same agreement they approved at the committee level was brought to the plenary. But Muntaka Mubarak insists the chairman of the Defence Committee resisted all attempt for votes at the committee level. He said tried as the Minority members did, the chair of the committee “refused to call for division” in order for the votes to be done. Joy News has intercepted an agreement approved by Cabinet granting unrestricted access to a host of Ghanaian facilities and wide-ranging tax exemptions to the United States Military. The documents show that negotiation with the U.S. has been ongoing at least for the past 8 months, however, Cabinet approved the deal on Thursday, March 8, 2018. According to the agreement seen by Joy News, “United States Contractors shall not be liable to pay tax or similar charge assess within Ghana in connection with this agreement”. Such aircraft, vehicles and vessels shall also not be subject to the payment of landing parking or port fees. Cabinet also agreed that no Ghanaian official shall board and inspect any of these U.S. aircraft, vehicles and vessels without the consent of the U.S. Forces. The U.S. 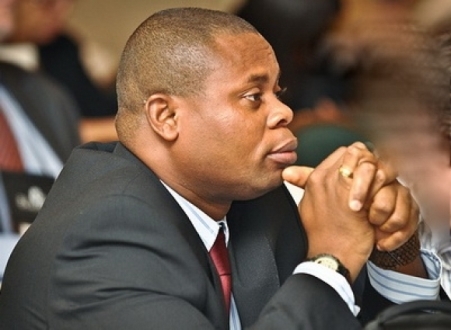 Forces can also use Ghana’s radio spectrum free of charge. Ghana has also agreed to accept as valid without a driving test or fee driving licenses or permits issued by the appropriate U.S. authorities to military personnel as well as us civilians and contractors. Joy News has also intercepted a memo written by Defence Minister, Dominic Nitiwul, asking Parliament to ratify the deal. Mr Nitiwul also argues that the deal will ensure that there is enhanced and fruitful security co-operation between Ghana and the USA. Parliament is expected to weigh the options and make a decision on whether to approve or reject the deal when the proposal comes to the House. The agreement has been scheduled to come to the legislators later this week. Rumours of a process to establish in a military base in Ghana started during the administration of John Agyekum Kufuor. However, when former U.S. President John Bush visited Ghana in 2008 he dispelled the rumours. It “simply not true,” the U.S President had said. He said the United States has no plans to add new bases in Africa but may open an office somewhere on the continent as part of its plans for Africom, a new U.S. military command that will focus on Africa. Vice President, Dr. Mahamadu Bawumia, has announced plans by the government to continue all infrastructure projects started by the Mahama administration. Dr. Bawumia says the move is one surest way of making Ghanaians benefit from such projects. “We have to make sure that this is the way governance continues. When one government starts a project, do not abandon it, try and complete it,” Bawumia said. Many have expressed fears that the new government, having outlined its own development program for the country, will abandon infrastructural projects commenced by the John Mahama government. The practice of abandoning started projects whenever a new government takes over office has been viewed as a major threat to the country’s development agenda. While interacting with journalists some 6 months after assuming office, he indicated that across the country, the number of projects and other resources that have been abandoned “because of change in government is alarming, that is why we established a national asset recovery unit that is going to find ways to leverage these assets”. Deputy General Secretary of the New Patriotic Party (NPP), Nana Obiri Boahene, will later today, Wednesday, appear before the party’s Steering Committee to answer questions on some damaging allegations he made against his party in a leaked audio that has gone viral. Nana Obiri Boahen, in the leaked phone conversation he had with an activist of the opposition National Democratic Congress (NDC), Kwaku Skirt, claimed that, the presidency gave the party an amount of 50 billon cedis for it’s annual delegates conference in Cape Coast in 2017, a claim the NPP has since denied. Mr. Boahen also claimed that despite playing a key role in NPP’s victory in the last general elections, he had been ignored since the party came into power. “Till date, I don’t even have an office at the party’s headquarters. To be frank, I have been using my own private car, and the party has not given me any official car for my use as Deputy General Secretary. I buy my own fuel. And even on official trips abroad, I’ll be left to my fate. When I recently went to Germany, it was an NPP Member who bought a ticket for me. I went to Spain, Dortmund it was an individual that processed my trip. I do virtually everything, and I don’t remember the last time I received a monthly salary from the party,” he said in the leaked tape. Obiri Boahen had also made other allegation against the party’s acting General Secretary, when he lamented that no Minister, DCE or even the acting General Secretary had offered him a government contract, suggesting that others who had not worked as hard as he did to ensure the party won the polls were benefiting greatly. “No Minister, DCE, MCE has called for any contract. What is happening is grabbing” he claimed. “John Boadu has never called me to say there is a contract at the headquarters so bring a paper and claim it. It has never happened so I am quiet and watching,” he said. But these claims were dismissed by John Boadu who intimated hat he does not give contracts to party officials. “Is that what is supposed to be done; that ministers will call party officials and dole out contracts to them, that as I sit at the headquarters, I should be able to call my colleagues that I have contracts and that they should come for them, is that how the country should be run, that party officials, because we are national officers of the party, we must be given vehicles just because we are in government?”John Boadu had stated. Though Nana Obiri Boahen has since apologized for his comments, it is unclear what action will be taken against him.